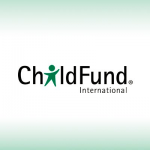 ChildFund Zambia is an International, Child Protection and Development Agency working for the well being of children; supporting locally led initiatives that strengthen families and communities in overcoming root causes of child poverty and ensuring the protection of Children’s rights. ChildFund assists about 15.2 million children and family members in 32 countries regardless of race, creed or gender. It is the World’s oldest child sponsorship organization. ChildFund Zambia with other implementing partners with funding from the Department for International Development (DFID) shall implement a 5 year project entitled “Advancing Girls in Learning & Empowerment (AGILE)” to support some of the world’s most marginalized girls in hard to reach areas. The project targets girls who have dropped out of school due to pregnancy, early marriages and early motherhood. This effort aims to increase basic literacy, numeracy and other important skills of out of school “illiterate” adolescent’s girls of 10 -19 years in Zambia to enable them either enroll in school, vocational trainings or gain employment or self-employment or improve quality of their family life. It will be implemented in a total of five (5) provinces. Establishes an atmosphere of responsibility for the mission of the organization and accountability to the stakeholders; establishes clear expectations by which staff and partners are measured. Selects or identifies the target groups for the Project of intervention. Collaborate with implementing partners on implementation of programs in the assigned Districts. Builds positive and productive relations with implementing partners, Schools, targeted girls, and authorities at all levels. Raises awareness of organization as a leader of child development and a leader of children’s issues; ensures clear communication channels between stakeholders and the organization. Represents the organization in forums to promote program approaches while ensuring good stewardship project resources. Responsible for providing technical support to need partners in order to ensure program impact at provincial level. Responsible for providing technical assistance and oversight in the development and management of budgets, financial reporting and audits. Ensures that partner agencies are accountable and compliant with organizational policies/procedures and local laws/regulations. Identifies and manages technical resource agencies for implementation of the project; oversees allocation of resources to execute project activities in accordance with the Project implementation plan. 10 years experience managing development programs in an NGO, preferably in a technical Project, community development and/or Education focused program. Experience in resource mobilization, coordination, negotiation and Education policies. Bachelor’s degree in Education, Project Management, Development or social sciences discipline is required. A Master’s or PhD will be an added advantage. Kindly note that these job offers are contingent on winning the award from the Department for International Development (DFID). Interested applicants are advised to email their application letters clearly stating the position being applied for as the subject to the following address; [email protected] not later than 5:00 pm June, 24, 2017. Ensure that you mention www.gozambiajobs.com as the source of this job advert. ChildFund Zambia is an equal opportunity employer.